I am the father of three daughters, one of whom is a teenager. If I were to live in Dapchi, my daughter would attend the school the Dapchi girls were abducted from. So I can't imagine the unspeakable horrors the parents of the abducted girls lived with. The parent in me is at once ecstatic over the release of the girls and distraught over the death of five of them and the continued captivity of one of them. 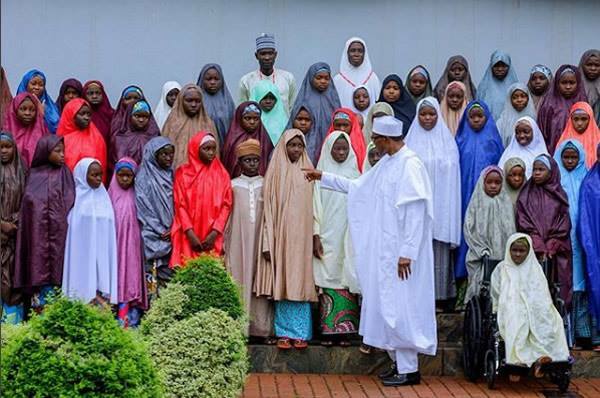 More than that, though, I am also worried that while no amount of money is too big to secure the release of the girls, the financial negotiations that led to their release would strengthen Boko Haram to launch more daring abductions of schoolgirls. It’s not a question of if; it’s a question of when. This is a vicious cycle. It’s easy to dismiss this as speculative or even made-up, but examples from the immediate past should give us cause for pause. For instance, the government had denied paying any money to the Abubakar Shekau faction of Boko Haram for the release of 80 Chibok girls, but Wall Street Journal’s explosive and exhaustive report of December 24, 2017 proved beyond all shadows of doubt that “Nigeria paid a secret ransom of €3 million to free some of the kidnapped schoolgirls.” Three million euros adds up to nearly 1.5 billion naira. In another case, the BBC reported that the government paid a hefty ransom to Boko Haram. "The ransom was €2m. Boko Haram asked for euros. They chose the suspects and gave us the list of girls who would be freed,” BBC quoted a source as confiding in them. It’s pointless recounting all the numerous credible revelations of ransom payments to Boko Haram by the government because it was the subject of my column two weeks ago, but the point being made is that Boko Haram is now better financed by the Nigerian government than our military is. And, as sure as tomorrow’s date, the terrorist group will continue to use the war chest handed to them by our government to unleash more terror, abduct more girls, and earn more money. It has become a profitable racket. While it’s hard to make the case that money shouldn’t be paid to secure the release scared, innocent girls, it’s also good to remember that the money paid to secure the release of some girls will be used to abduct other girls and inflict harm on others. So ransom payment isn’t a sustainable strategy. Any country that purchases its peace will perpetually be indebted to war. But more than that, Boko Haram is now winning the ideational war. For instance, reports said that when members of the group returned the Dapchi girls, they stayed for a bit and preached against girl-child education. They told the girls to never go to school again or risk abduction. In a region that desperately needs education, especially girl-child education, we’ve been set back by probably five decades. No responsible parents will send their daughters to school again. The girls’ life is infinitely more important than their education. Similarly, Boko Haram is clearly now being unwittingly lionized, deodorized, decriminalized, and mainstreamed by the government. The photos and videos shared by the Daily Nigerian online newspaper of jubilant crowds cheering Boko Haram terrorists in Dapchi while the group freely hoists its flag is disconcerting. The terrorist group isn't just being financed by the Buhari government through handsome ransom payments; it is also being unintentionally glamorized. There is no bigger recruitment tool for the group than this. It’s a loud message that crime does pay. (5) an educated, vigilant, and engaged citizenry who are not susceptible to cheap elite manipulation and narrow primordial loyalties. A nation that has only the first two elements is a fragile nation. A nation with just one of these elements has no reason to exist. And a nation with not a single one of these five core elements is Nigeria.